The highly anticipated Book #2 in the Rake Patrol series does not disappoint. Once again The Rake Patrol is decoding the personal ads of a delicate nature in the Mayfair Messenger. 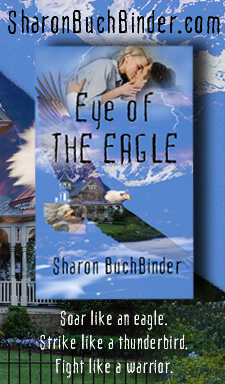 In order to protect her friend Faith who has run off to Scotland, Claire Starke quickly packs her bag and sets out alone to rescue Faith from the “madman” who placed a personal ad looking for a wife. Claire believes that nothing good can come from responding to a personal ad, in Scotland of all places. What Claire soon discovers is that she has set out not only to protect Faith but to embark on her own journey of self discovery. It’s her expedition in and through Scotland where she unknowingly discovers her true purpose with a little help from the one thing she’s trying to avoid, a dram of Whisky. You will be transported to Loch Rannoch in the Highlands of Scotland where you will meet Laird Cameron McPherson who has tired of his mother’s matchmaking schemes. She placed the personal ad to prove that he is capable of love, all he needs is just a little push. Discover the mysteries surrounding his past and how a camera can capture more than just a picture, it will steal your heart. Come visit this castle of hidden gems with the perfect place to sit by a fire. Don’t forget to grab the McPherson Tartan to keep yourself warm. You will soon find your clan for a few delectable hours. Go ahead; buy yours as soon as it is released July 15, 2014. I was given an Advance Reader Copy (ARC). Thanks so much for your kind words about The Whisky Laird’s Bed. It was a fun (and intoxicating) book to write. I swear I needed that glass of scotch by my computer so I’d know how to describe the taste, smell, etc. (at least that’s what I told my husband). Thanks for helping to share the news about the book’s imminent release. It’s been a while in coming.